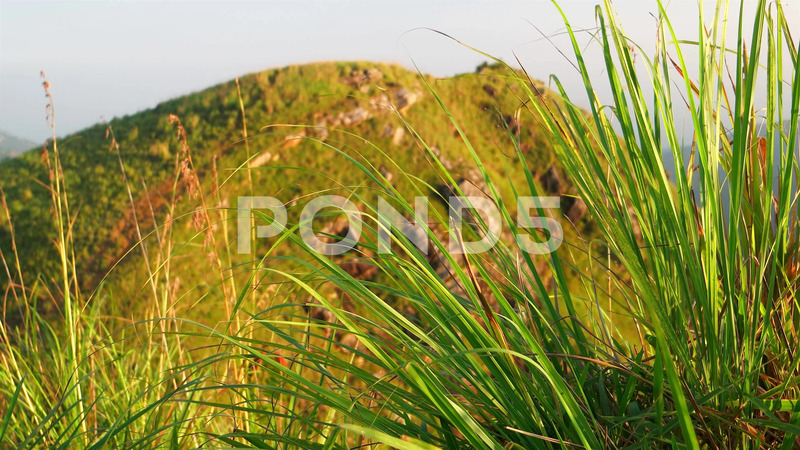 Description: Long grass with view of mountain in background. Natural background. 4K resolution.